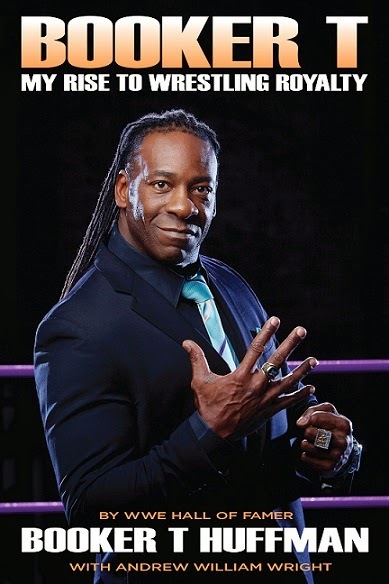 6-Time WWE World Champion Booker T Huffman continues to progress in his life and career, not only as a color commentator, but also as a father, husband, businessman and author. Recently the WWE Hall of Famer released the latest book of his life story Booker T : My Rise to Wrestling Royalty, which stems from his past book Booker T: From Prison to Promise, which highlights his life and career from a child to his success as a global superstar and icon. Consciousness Magazine was able to catch up to Booker T who also made up one half of the tag-team wrestling duo Harlem Heat. 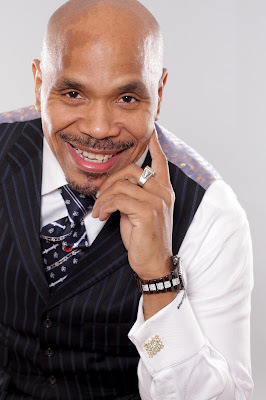 Here is what he had to share with the readers regarding his new book and latest endeavors. Aaron Robinson: Hey Booker, how are you doing? Booker T: I’ve been doing alright. Aaron: Thanks for taking time out of your busy schedule to do this interview with me. Booker T: Hey man, no problem! Aaron: Your new book “Booker T: My Rise to Wrestling Royalty” is a follow-up to your last book Booker T: From Prison To Promise. What can your fans and readers expect when they read your new book? Booker T: It’s just a journey more than anything. I’m just chronicling my 25 years in the business starting in WCW, moving on to WWF back in the day, moving on to WWE, then leaving the company and then my brief stint in TNA, as well as the Hall of Fame. 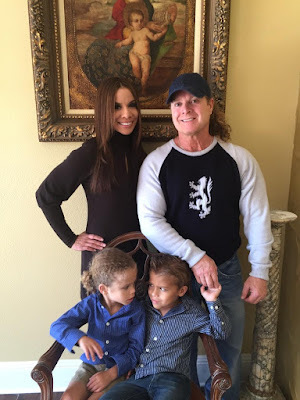 They’re going to get a chance to see the ride of the 35 championships that I gained over the years in the business. We lost a lot of guys along the way in the business. I wanted to make sure I made mention of them. A lot of them guys, for myself, I never wanted them to be forgotten. I always want them to be looked at in a good light. But it’s definitely a journey - my journey in wrestling through my eyes. Aaron: When you look back over your life and career as a professional wrestler, to General Manager to now a color commentary on WWE RAW. What has that experience been like for you? Booker T: It’s all still a work in progress; I’m still trying to perfect myself. (Laugh) I’m working on my performances even now, doing it from a different perspective during color commentating. It’s a lot of due diligence; it’s a lot of work; it’s a lot of study. Sometimes I get lost (laugh) in the moment. So, you have to stay focused out there for three hours now, you know. It’s just great being able to still be relevant in this business this many years later! Aaron: From my experience of knowing you over the last several years, many people may not know that you are a down to earth individual. As a global superstar and icon, how do you remain humble? Booker T: You know…we all put our pants on one leg at a time; I think. (Laugh) I’m no different than anybody else. This is just my job. I got much bigger responsibilities than trying to be a celebrity or a star or anything like that. You know what I mean! I got two beautiful kids, a boy and a girl four years old. I try to make sure they see life in its grandest form. Those are my ultimate goals right now, just raising them. Hopefully, they can be humble throughout their life like their dad. It doesn’t cost you anything to say please, thank you, yes ma’am, and no sir. It might take you somewhere in life. The journey continues - just being humble. Aaron: For all of those youth and young who purchase your book, look up to you and who want to make something out of their future, what would you share with them? Booker T: You definitely gotta follow your dreams! I always say that. My thing is, a lot of times kids find themselves in situations and a lot of the times they don’t know how to handle the situation. The first thing I say is: try not to blame anyone else for the situation that you’re in. Just try to find your way out of the situation. You never know what can happen for you. And I’ll say, just from experience, I found myself in a situation I easily could have blamed the world, blamed God, blamed my parents for leaving this earth that early, but I didn’t. I just picked myself up, tightened my boots up and said ‘alright we gotta go on this journey in life’. Life is not easy; it’s the hardest thing we’re ever going to have to deal with. Just try not to blame anybody and take it head first. Aaron: For the last several years you have been operating Booker T’s Reality of Wresting. Would you like to talk about that a little bit regarding how successful that endeavor has been for you? Booker T: Reality of Wrestling is taking off. Right now we’re doing our 2nd season. We’re actually on television. We’re here in the Houston area as well as have a national deal with Soul Of the South Network. It’s great! It’s a lot of work, but I got a lot of young kids that’s driven, that’s motivated to go out there and get the job done - take it to the next level and do whatever they have to do to make that machine work on a monthly basis. They write the show, they edit the show, they perform on the show. They put up the equipment and take it down. It’s definitely one of those things to where they want it just as much as I do. That’s what I think makes Reality of Wresting a total operation, a total self contained unit. We’re doing big things. Paul Boesch is the guy who pretty much left the blueprint and I’m taking it to the next level. I know that he would be proud as well. It’s going to be great! Reality of Wrestling is moving to the next level and hopefully we will be on that grand stage before it’s all over with. Aaron: Do you have any other endeavors in the future that you would like to accomplish that you haven’t already done yet or anything new that you would like to share that you are partaking in? Booker T: Really the thing I’m doing…I’m taking it as it comes. My radio show comes on every Saturday night on Sports Radio 610. Check it out on www.SportsRadio610.com. It’s called “Heated Conversation with Booker T”. It’s just a never ending story of moving forward. I’m doing different things. I actually had Omar Dorsey, the actor who played on Selma on my show last week. It’s getting bigger and bigger. I’m just trying to take it to the next level on all aspects. I don’t see any limitations. Do as much as you can in this life. We are not promised tomorrow. So try to get it in today, that’s what I’m doing. Aaron: Would you like to add anything in closing regarding your new book “Booker T: My Rise to Wrestling Royalty” or anything we haven’t talked about? Booker T: Check the book out. Wherever I’m at make sure you come out and take a handshake and take a photo. I’m at the moment where everything now is just nostalgia. Whatever I do, hopefully the people come out and support it. Let me know what you think about it [the book], rather it’s good or bad; I need feedback. So far, from all the readers that read the book I got nothing but good feedback. It’s a good read just like the first book. Let’s just take it to the next level and get ready for the next book (laugh). Actually, the next book is going to be a comic book. We’re working on that right now. Aaron: Thanks Booker, it’s always a pleasure talking to you. Booker T: Appreciate it brother!